What Puts the Hops in Beer Can Battle Cavities! Beer enthusiasts should have a pretty good understanding of what makes their choices of beer special. 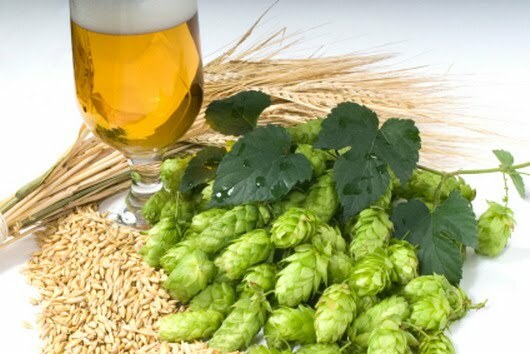 Many are inclined to choose beers known for their hops, which are flowers that give a drink its uniqueness in bitterness and aroma. But how exactly does this have to do with oral health? When hops are incorporated into a drink, the leftover leaves are usually tossed and unused. However, sciences have found that these leaves contain healthy antioxidants that may be the key to preventing cavities and periodontal disease. Yoshihisa Tanaka and fellow researchers found that these antioxidants were effective in stopping bacteria from proliferating as well as preventing them from sticking to surfaces on the tooth. In their lab, they found three compounds identified as the necessary substances in bracts essential for preventing cavities. In the United States alone about 30,000 tons of hops are used for making beer, but bracts, the unused part of hops, are thrown away. Instead of tossing bracts, these researchers propose that they can be used for various dental applications. There research has recently been published in the ACS’ Journal of Agricultural and Food Chemistry . Although hops may be good news for teeth, beer itself may not a great choice for keep teeth healthy. Beers vary in acidity, and drinks low pH can be quite acidic, leading to demineralization of teeth. Beer may also leave teeth susceptible to tooth discoloration. Again, it is always important to set up a consistent oral health regimen. Brushing and flossing daily is crucial for maintaining a healthy you and a beautiful smile. If you have any more questions, feel free to contact Drs. Ali & Ali and the caring team at Wellesley Dental Group if you have any thoughts or concerns; they will be happy to answer your questions! Contact us today at 781-237-9071 or smile@wellesleydentalgroup.com to set up an appointment and consultation.